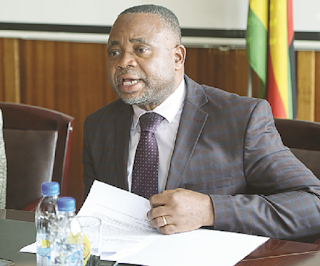 HARARE – The current trend adopted by many schools across the country of forcing parents to buy uniforms at schools or recommended shops is illegal, Minister of Primary and Secondary Education, Paul Mavhima told parliamentarians. Most parents with pupils starting Form 1 especially at boarding schools are served with a long list of uniform requirements which can only be procured strictly at the school or recommended shops. The schools will make it clear that uniforms procured from other avenues will not be accepted. “It is illegal to force parents to buy uniforms either at your school or any shop chosen by the school. “This does not end on uniforms only, there are other requirements which are being demanded from parents outside the fees in line with the new curriculum. These things should be put on the school fees upon agreement after a consultative meeting,” said Mavhima. Many schools demand a payment of over $400 towards the procurement of a full set of uniforms and some have been found wanting after they fail to deliver the uniforms. There has been a lot of reported corrupt activities surrounding the selection of shops to supply uniforms with many parents raising the unfair flag. Mavhima said he understands the burden being faced by parents in terms of paying school fees and will make sure that no child is disadvantaged from learning because they do not have money.